As Apple has revolutionized the mobile phone industry, they now will revolutionize the mobile computing game. As I viewed the UStream’s choppy broadcast Wednesday, I must say, I really, really want one…but I don’t think that I need one. That could be the general consensus of the population. So basically this thing is a big iPhone, it looks beautiful, and it’s about the same size of a net book, but with way much more packed into it. 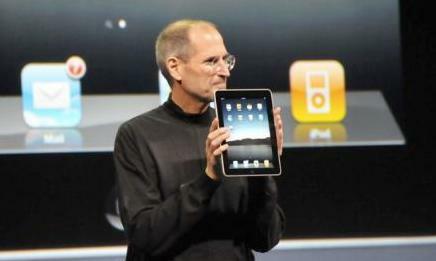 The iPad looks like it came right off the Star Trek Enterprise. Apple has literally taken the concept of the net book and stepped it up in ways that seem magical. As a healthier looking Steve Jobs announced the iPad, he mentioned the fact that current net books on the market were actually cheap computers that really did nothing. The iPad builds on the iPhone concept through creating a larger iPhone, but it appears to step it up to the next level by adding a super fast processor and a super long battery.10 Hours …. From an entertainment perspective, it’s capable of doing everything that the current iPod and iPhones currently do plus more. This device can even view HD Video and television shows. Next an introduction of iBooks similar to the iTunes store, now you can download books, magazines, and even newspapers with ease. This will hopefully revolutionize the way we view media, just as iTunes revolutionized the way we bought music. For those who wondered about the keyboard, it doesn’t have one built in, however, Apple has a solution for that, there is a portable keyboard that serves as an iPad Dock, so you can charge and use it at the same time. AT&T will at least get something out of the deal with a subscription based service that starts at 14.99 for a light user and an unlimited version for 29.99, with no contract. Sounds almost too good to be true, unlimited 3G for 29.99!!! a great price. Apple said that they will sell an unlocked version as well. No mention as of yet of any relationship with Verizon. There are questions, like whether or not it will be able to multitask? Does it have a webcam? Will it be able to enable flash? Apple didn’t seem to mention the answers in their presentation. These are legitimate questions because Flash content is on almost every website that exists. Another interesting thing to note is that despite predictions, there was no mention of the next iPhone or software. Also there was no mention of ending the exclusivity agreement with AT&T. The price point was also a major concern. Apple has never been known to be a cost friendly company. They “wowed” me today, though with the base model being only 499.99. If you are ballin’ and you want to spend about 350.00 more, you get the 64 GB model with all the trimmings. The “WiFi-Only” version aka (big screen model iPod Touch, you’ll only have to wait two months. If you want to the 3G model (big iPhone) you will have to wait an additional month. Previous ArticleGlenn’s Strategies for Well-Being: No One Gets Out Alive!